It all started with a single stone on a beach in Cape Cod and now the movement spans the globe. The Project (founded by Megan Murphy) is based on the profound truth that “one message at the right moment can change someone’s day, their outlook, and, indeed, their whole life.” These handwritten messages on stones take many forms: gratitude, affirmations, encouragement, and hope for someone to find at exactly the right time. Teacher, Ms. Wetzel, and parent, Ms. Grossman, decided to bring the project to 5th grade last year where students painted rocks with their own messages. This October, now as 6th graders, the group gathered together for a formal ceremony to place their rocks in a dedicated area in the Peace Garden. Ms. O’Donnell led the 6th grade event, asking all students to reflect on how this movement shows the way to create kindness and cultivate compassion. The students are committed to keeping this movement going! The Kindness Rocks can be taken when you need one, shared with a friend who may need some inspiration or simply left for another one day. 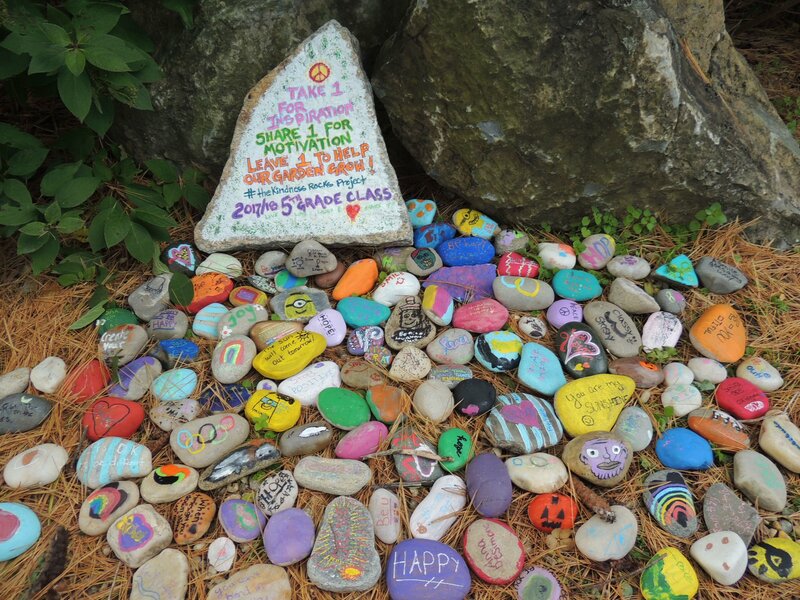 What a beautiful legacy to leave…and it is the student’s hope that these rocks will continue to provide random acts of kindness for many years to come.